There is an abundance of shelter dogs in the deep south. That's why Greg Mahle founded a transport service to relieve these unwanted dogs from their death sentence and ship them north to the arms of loving and eager dog owners. Since then, Greg has driven a million miles to save dogs. Literally. 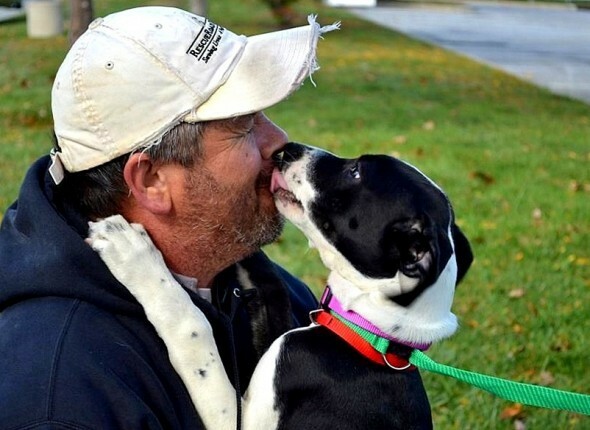 With incredible devotion, dedication and stubborn hard work, Greg has been making a 4,200-mile round trip twice a month for 10 years to pick up dogs from the southern United States and drive them to awaiting families in the north. His truck is filled with shelter and rescue dogs every single trip and many of these dogs were just a day or two away from being euthanized. It takes Greg usually 7 days to pick up dogs from the various rescues he works with in Texas, Louisiana, Mississippi, and Alabama, and then drop them off in Virginia, Maryland, Pennsylvania, New Jersey, New York, and New England states. 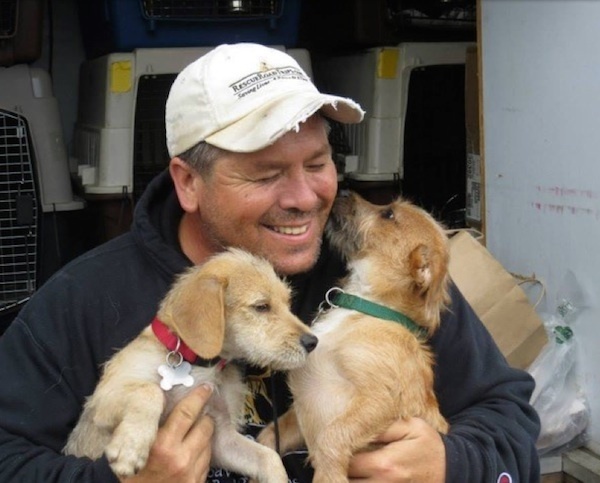 Since beginning Rescue Road Trips, Greg has saved 30,000 dogs, clocked countless hours away from his wife and stepson and ensures that the rescues and adoptive families he works with will take care of his furry charges! Responses to "Man spends half his year driving to save dogs; has driven million miles and saved 30,000 so far"
I am a mobile dog groomer with a 22 foot long step an and I want to drive dogs to forever homes like this guy.....anyone want to underwrite me? He is such a WONDERFUL PERSON! Can you help me save Farishuy please. He is on his way to be euthanized in NYC as I write this. There are a lot of people who are working very hard to save him. Anything you can do to help would be greatly appreciated! Unknown - Start a Go Fund Me Page! ... This Man is a Hero! Paula, I was thinking the same thing, but if you read the article, it says he's married. The good ones are usually taken. Among all of the fear and hate, there is love and kindness all around, you just have to look. We all have the power to make a difference. Salute!!! Sir, you're a hero to the furkids. May your kindness inspired more kind souls. The world is more beautiful with happy stories to share. Wow what a guy , to be devoted and not only save a dogs life, to show them the meaning of love absolute unconditional ! You are a blessing to these precious furbabies! God bless you for all that you do. You are an angel and an absolute HERO!!!!!! This is a real man, no questions asked and hands down. Paws too. What a sweet earth angel. What an extraordinarily kind man Thank you so much, God bless you.